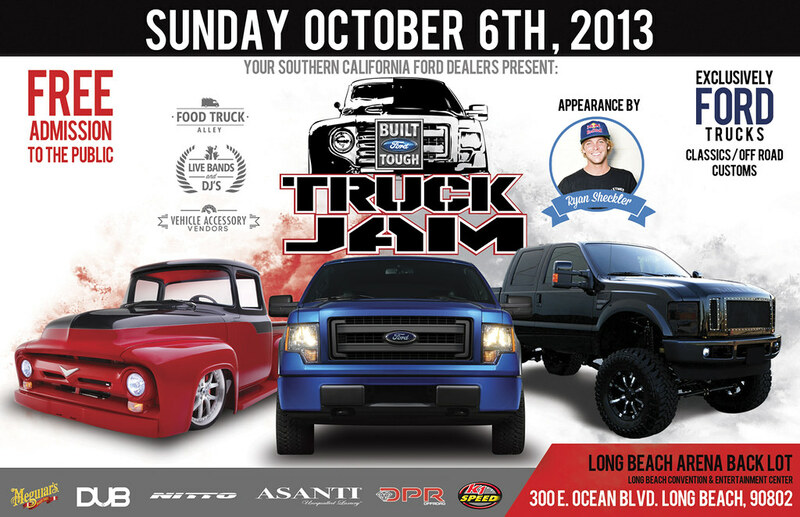 The Ford Truck Jam Truck show will be exclusively Ford Trucks. From Classics to Modern, Low-Riders to Lifted, Come check out Ford’s Finest. Proceeds from the Ford Truck Jam will benefit the Sheckler Foundation, to help enrich the lives of children and injured action sports athletes! Ryan Allen Sheckler will be making an appearance, so come out and support a good cause!